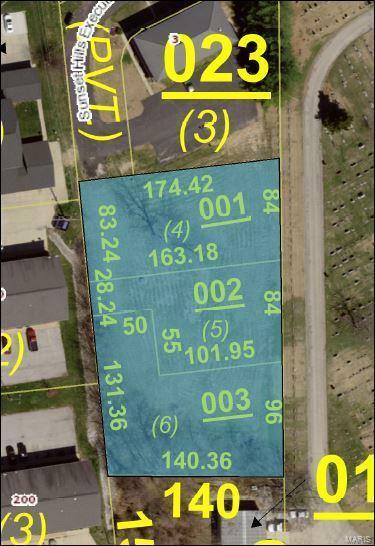 Taxes and lot size are for all three remaining lots. Only 3 lots remain in this private Planned Unit Development suited nicely for professional offices nestled in with a wooded backdrop on the south side. Buyer/Developer can purchase one or all 3 lots depending on the project. This property has an Edwardsville mailing address, but is located within the Village of Glen Carbon. Great location for views from the Bluffs of Edwardsville looking west to the St Louis skyline! Quick access to Interstate 270 to Downtown St. Louis or the Lambert St. Louis International Airport. Located less than 4 miles from the Amazon Fulfillment Center, Gateway Commerce Center & Worldwide Technology! Buyer to independently verify all information with local municipalities as all information is derived from various sources.